Whilst a lack of sales leads is probably the most popular reason to redesign a website, it’s not the only reason. Some well performing sites need a redesign because they’re outdated in technology. Some need a redesign because they’re outdated in style. And some need a redesign because bigger business problems lie within the website. I’ve encountered all of these scenarios plus more and helped clients to redesign their websites to solve their problems specifically. So now I’m going to share with you the process of redesigning your small business website like a pro. Redesigning a website is not the same as initially designing a brand-new website. Guided (or dictated) by a web designer and web developer, the initial design is usually a great way of getting your first website online with a low budget but that’s not where it should end. The initial web design should be a foundation for you to build upon. When it comes to redesigning a website, you’re dealing with a pre-existing platform. One that’s already an online tool. The goal here is not to get something up and running, it’s to improve what’s already there. 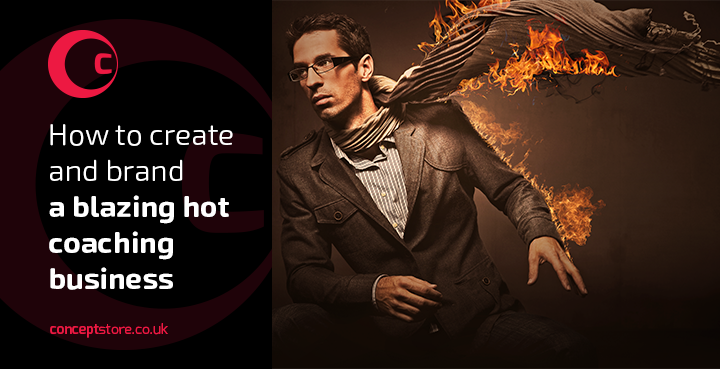 And that is you’re going to redesign your website with great results. This article will guide you through your website redesign step by step and use tools to identify all problems, big and small, to come up with a solution that improves on your last website iteration. Now, this guide may get technical in places or use industry terms but the idea behind it is to help anyone, whether you’re a designer, web developer or small business website owner with no technical knowledge, to plan, prepare and execute the redesign of your website (or someone else’s) with strong results. A lot of small businesses don’t invest enough into web design. The result will be a stale website which does nothing much for the business. Or a website that creates leads but has a short lifespan. Now it’s time to reinvest into your website, you don’t want to make the same mistake twice so let’s take a realistic look at your budget. Once we get going you may discover that your website needs a lot more work than originally expected. The reason being is that this guide is not just about redesigning your site aesthetically or replicating what you already have in a slightly different format. It’s about redesigning your website to make a better online tool overall. It may require some big changes and we’ll be digging deep into your website design to reveal hidden problems, maybe lots of them. In any case don’t let that or a budget put you off of redesigning your website. At the end of the day it’s up to you, how much you can invest in the redesign of your website. Whether you have a low set budget or a high set budget, a flexible budget or no budget, you can read this guide and still plan and improve your website redesign. The only real difference that the budget will make is deciding how much work you yourself or your chosen service provider will do from this guide. This is a practical guide to redesigning your website so its practical to think about the costs associated with it. In addition to your budget, you need to consider a timeframe for the completion of the project. Without speaking to a web designer, you may not know what is and what’s not doable within a given timeframe but if you can set out your own preferred end date, it helps to put the project into perspective with an end goal. Again, be flexible and change your timeframe if needed, but once decided, be sure to create a solid deadline and stick to it to keep up the momentum of the project. Lastly you need to put into position anyone who’ll be dealing with the website redesign if it’s not you personally. Who is the point of contact to handle the redesign internally? Be careful in your selection as you can easily hire the wrong person for the job. Some studios talk the talk but can’t walk the walk. Some freelancers may drift off of project. And a lot of agency’s take your cash and outsource your work abroad, creating a muddled website and ultimately extending your deadline tenfold. In the end its not usually about the amount of money paid that results in a bad job. It’s poor communication and a lack of deliverables carried out by a poor choice of service provider that leads to a bad website redesign. Your next step is to write down your budget and timeline now. Even if you have no idea what it should be, just write down something. In doing so you’ll have overcome the hardest part of a website redesign which is making a start. Or small and specific problems like users phoning you for information instead of using your online form. They’re all problems that need addressing but before we can do that we need to actually identify them as problems. To solve, do an internal audit. Look at any and all problems with your current website and ask your staff (if any) what problems they have with your website. Their opinions may differ to yours revealing hidden insights which are great when it comes to redesigning a website. To begin, create two lists titled big problems and small problems. And write down all of the website problems that you and your staff think you have. To be honest, it doesn’t matter which list the problem goes into. Dividing the list into big or small problems is just a way of making you think about problems of all sizes with regards to your website, not just overarching ones which is what most people do. Each big problem on the list has a solution but the problem may be occurring for a smaller reason or a combination of reasons. By identifying the generic problem, you can drill down and identify all connected issues to that particular problem. Big & generic problem Reason for problem? Lack of sales leads Are the website forms working? Are the forms badly designed? Is the content leading to the form poor? Is the call to action poor? Is the website, page and form targeting the right user through the content and design? Are the right people seeing the website, page and form? Is it the overall page design that’s leading to a lack of enquires? Is our branding putting users off? All of these issues plus more could be relative to a lack of sales enquiries but this list of possibilities allow you to start investigating the size of problem and determine how easy issues can be fixed. For example, fixing a broken form could be relatively quick and easy, solving your problem immediately. But if it’s a deeper problem like the poor design of an actual page, it will take longer to solve. Lastly, the problem could be bigger, reflecting your business branding and positioning on a whole which means you may need to overhaul your marketing communication. In the end it could be a combination of them all. If you can drill down on each listed problem, you can find the specific causes of those problems. You might end up revealing deeper issues that are affecting your overall business. Or you could reveal a solid set of possible solutions that could improve your website with minimal effort and minimal cost. In any case, doing the above will reveal real problems, solutions and some scope of work for your website redesign. Most of the problems related to your users are assumptions, not facts. As the website owner, it’s common for your website to be originally designed around your own wants, requirements and assumptions. The truth is that these assumptions are the best way to get a website up and running on a low budget but are usually very wrong in the long run. 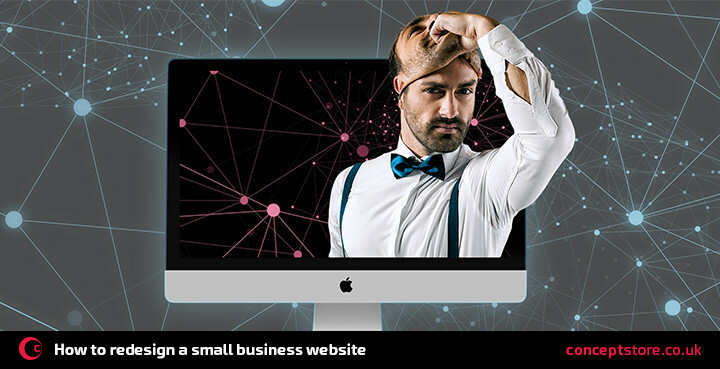 It leads to scenarios were websites have no enquiries or are poorly designed and in the end a website redesign is what’s needed to restore purpose to your small business website. To solidify the problems and assumptions found in task two, and to discover your user’s problems, you can use Google analytics behavioural flow tool. To do so you must have google analytics installed on your site. Ask your web designer/web developer to install it. If you can’t manage that, get in touch with us and we’ll help you do it. Google analytics tracks user’s activity within your small business website and presents it to you in the form of numerical data. E.g. How a user entered your site, how long they spent on a page, what device they were using and etc. One great feature is the behavioural flow chart. What page did they enter from? Did they drop off immediately? If so why? Was there nothing to click? Did they click and continue? If so what page did they go to next? Or what button stood out to them to make them click? Did they drop off at the next page? If so why? The drop off points show insight into where your users are leaving your website because it was the end of the journey for them. In the end, the problem is that they left! 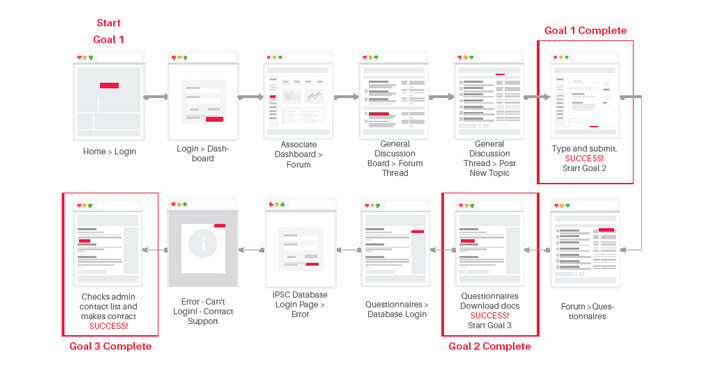 By analysing the behavioural flow and identifying pathways and drop off points you can plan a solution to re-prioritise and re-structure content to keep users on site. This is a great tool for redesigning a website based on your website user’s actions. Now you have some internal requirements for a website redesign, and some inner knowledge on what users are doing on your website but you don’t have user opinion or specific user demographics. Why they came to your site? How they ended up on your site? What they thought of your site? What their natural reactions were? Revealing this information will help us to get specific with the website redesign, focusing the redesign on your target audience who are more likely to visit your site and take action. To get this information you need to do some unbiased testing. 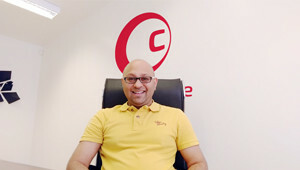 To begin you need to define and collate a specific set of test users i.e. Stakeholders. And you need as many as possible but ten at the least to test. Letting users naturally navigate the site without direction to ascertain their actions and decisions. 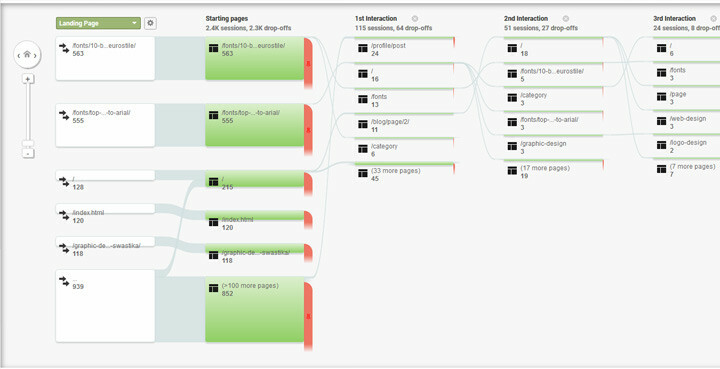 Asking if users had a goal whilst visiting the site and whether they reached their goal? If so, how easy was it? If not, why not? Create a goal. Give the users a task to complete on your website and see if they can complete it. Again, ask how easy was it? If not easy, why not? Collect all results including your users unbiased opinions, first impressions, logic and reasoning. You probably noticed that I used the words “unbiased, natural, uninterrupted and opinions” quite a bit in this section. The reason being is that you don’t want to influence the user with either the designer’s opinion or website owner’s opinion of the website. And you don’t want the user to have a pre-judgement or expectation of your website. You want to collate true feedback from an average user and record any common thoughts on the website and design. This testing rule creates honest and realistic opinions and results as oppose to egotistic, biased, premeditated and unfocused results. In the end, you’ll have a whole heap of data showing you why you need to redesign your website and how you can redesign it to make it a better browsing experience for the user, and a more effective sales tool for your business. Albeit testing only ten users may not be enough to get a quantifiable answer to your website problems but you’ll be surprised as to how much info just ten test users can give. Any commonalities that their answers share are definite issues to look at, whether they be positive or negative. Now you have evidence of all your website problems, it’s time to look at solutions. Before coming up with ideas and implementing solutions you need to look at your online competition. When designing a new website, I believe that competitor analysis provides a guide to what works, what doesn’t but more importantly how you need to differentiate yourself to compete as a brand-new website. For a website redesign, competitor analysis is still just as important but also very dangerous. At this stage, where your website needs improving and redesigning, it’s easy to look at your competitors and simply copy what they’re doing. It may seem like a full proof idea but it has two big drawbacks. You’ll lose your differentiation and become a cheap knock off, a secondary option rather than a primary alternative. 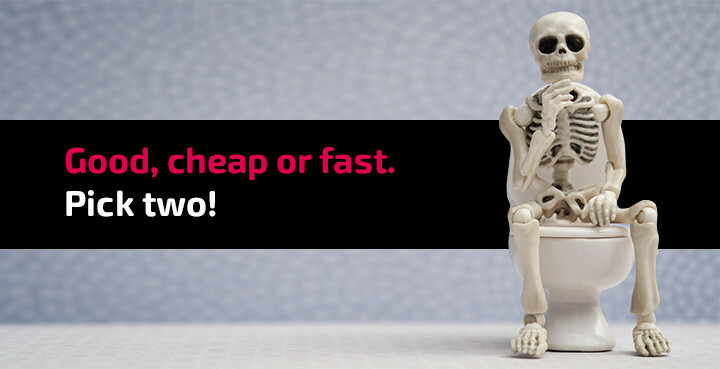 You don’t know how well any part of your competitor’s website is performing? You may be imitating something that doesn’t work. When looking at the competition remember that your website is not being redesigned to imitate them but to one up them or differentiate from them. Take snippets away from what they have done to improve your own website redesign. Take what you’ve learned from the competition and improve on it in your own way. Competitor research can also include SEO and keyword research. This will help you to better position your business online and reveal how big the competition may be. It can unveil alternate ways to penetrate the marketplace maybe with a smaller budget and give an improved insight as to how you can accumulate new users with new content or new website features. Ultimately, when it comes to competitor research your goal is not to copy and imitate to be a competitor. 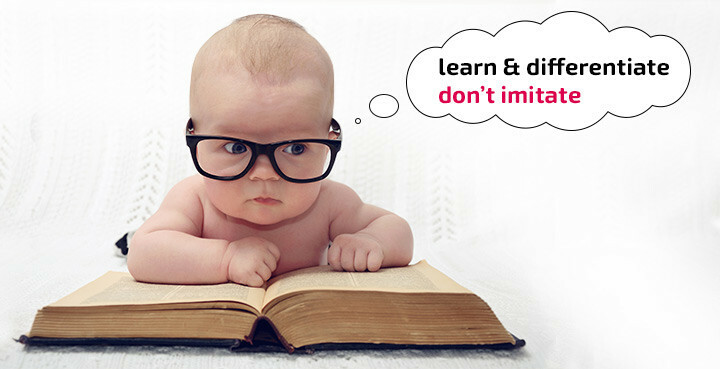 Your goal is to learn and differentiate so you don’t have to compete. 6. 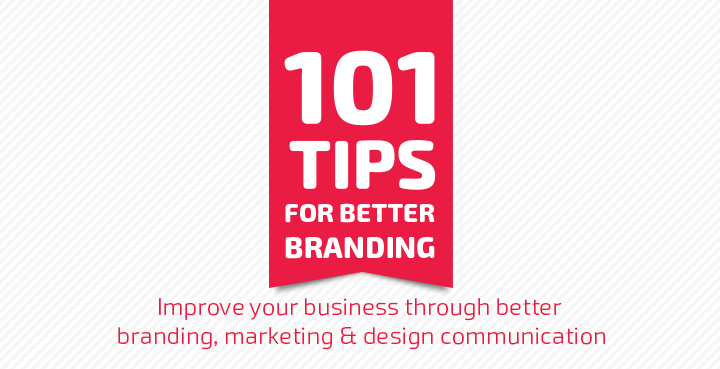 Rebranding your small business website and business. 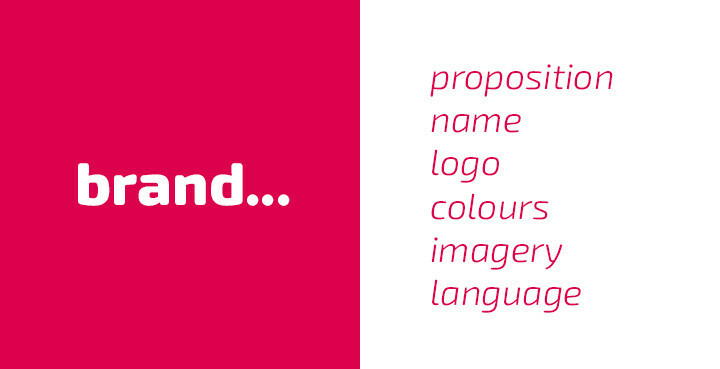 I’ve worked on many website redesigns were the problem was not just with the website design, the problem was with the logo design, the colours used, the brand positioning, the brand language and basically everything! The business brand was wrong, hence why the website and everything else was wrongly positioned and creating poor results. In this case redesigning the website was not the key to recovery. The brand needed a major overhaul and redesigning just the website will lead to new website that looks and works incredibly well but is held back by a crusty old logo design and a brand that nobody is actually interested in. To make the right step moving forward, look back at your surveys and results and look at what brand elements need redesigning because there’s no point in spending cash trying to fix a website when the brand itself is the overarching problem. 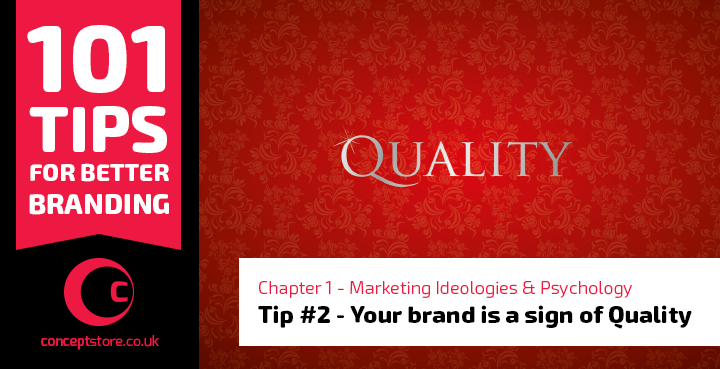 Take this opportunity to revisit your branding and audit it. Each one should be tweaked or redesigned completely according to your current position and user feedback. Each one should also be consistently used across your new web design. Overall the brand strategy and brand design should populate your redesigned website and create a unified system of design that resonates with your users. 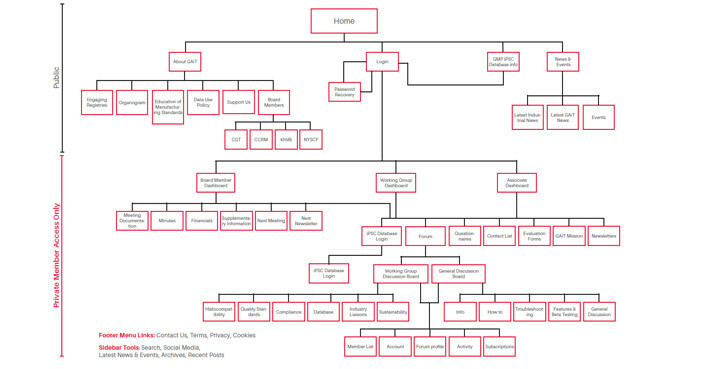 Your next step would be to create an information hierarchy document. The information hierarchy is a file which uses the evidence you have so far to design your new website on paper via tables and charts. 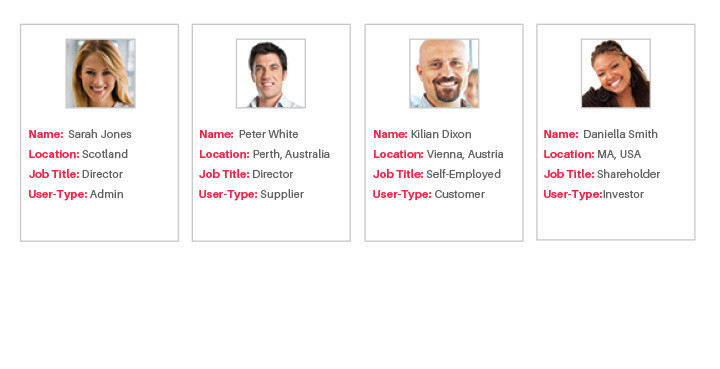 Identify stakeholders and outline their behavioural flows and journeys through your new website. 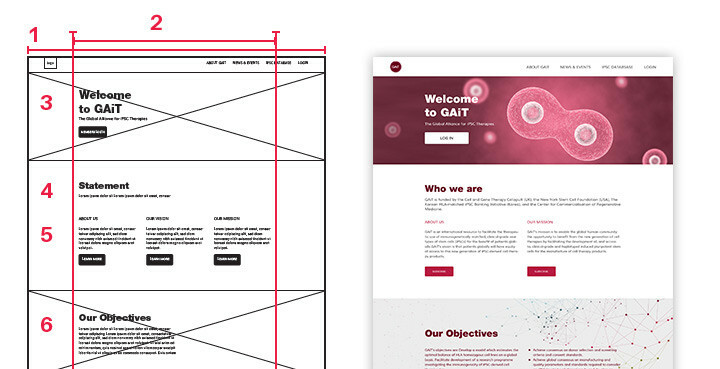 In addition to mapping out the content, the information hierarchy should layout the design with wireframe mock-ups, colour ways and typesetting, piecing together the new website redesign. 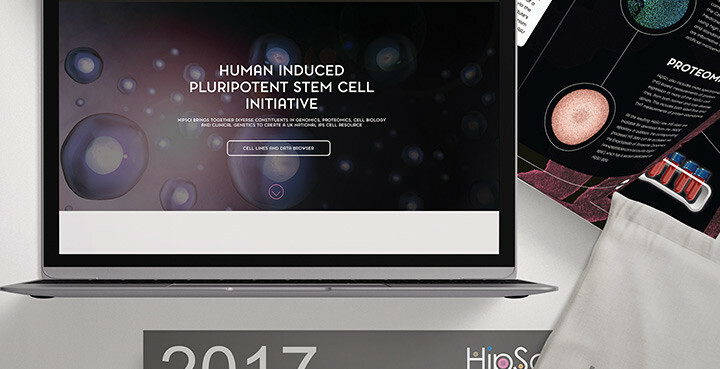 It will be your first glimpse at what all the research and planning is amounting to. Making any sort of changes to a website can affect its search engine rankings so before you start redeveloping your site, live, online, you’ll need to consider what affect if any the redesign will have on any SEO you’ve done in the past. To solve, look into your own website rankings prior to any development and audit your websites SEO, paying particular attention to high performing pages. Cross check these pages with the changes you’re making in the website redesign and information architecture, and ascertain whether these pages will be affected or not. The great thing about SEO is that if a high performing page could be affected by a website redesign then you can use SEO techniques to take action and counteract those negative effects. However due to the secretive and unpredictable nature of SEO, you sometimes won’t know the full impact of any changes until they happen. Its best to look into SEO implications beforehand to plan and implement counteractions just in case. Now let’s get down to the nitty gritty and actually start visually redesigning your website. 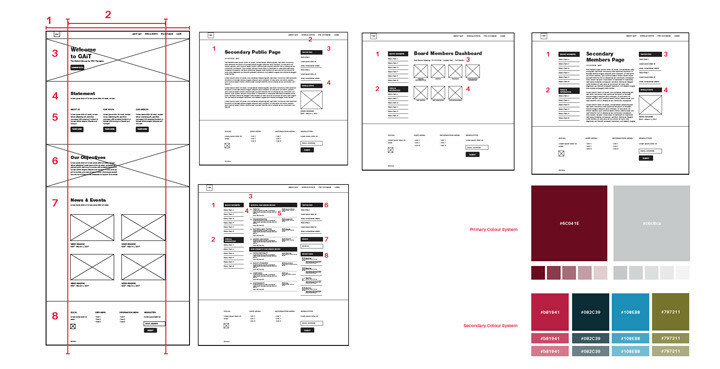 The layout of the page content via wireframes. All we need to do now is bring those wireframes to life with full HD visual mock-ups. Design mock-ups provide fulfilment to a website design, confirming design decisions, expectations and literally proofing the final design before development begins. It’s also a chance to refine the smaller details and fill in overlooked areas. The design process will incorporate best practice and reveal problematic areas when it comes to developing the site live. In any case, this phase of the project is to fulfil your requirements and stamp out any final problems. Flat jpg files with real content is the best way to start mocking up your initial homepage design. After finalising, move onto a secondary level page mock-up and then any additional special pages. Review, tweak and sign off on one page at a time to steadily reach your goal in incremental steps. Personally, I like to develop websites on the hosting area within the actual domain to keep transferring issues to a minimum. It’s also a chance for the website owner to see the very final version of the site as it will be used and displayed online. However, for a website redesign this may not be possible as the old site could still be up and running. Using a staging area to build the site is the best alternative and allows you to fine tune the site after its been developed but using a staging site can also slow down development as there’s no immediate rush to complete the work with the old site still up and running. Now is the time where timeline we set in task one comes into play. Try and be strict with the development timeline to ensure both parties, developer and business owner keep momentum and morale for the project high. This stage is close to the final hurdle so it would be a shame to drift off course when you’re so near to completion. Start by Implementing the framework and developing the homepage design. After doing so move onto secondary pages and special functions. Develop each part of the site section by section in stages to ensure a rigid workflow that guarantees completion. Once the site is up and running, it’s now your chance to test the site again, if possible with the same set of users as before. Repeat the tasks in step 4 and record results. Look at anything that can be tweaked or any new problems that have risen at this stage and implement solutions. Once all testing and final changes have been made…. launch immediately. In fact, don’t even wait to make changes, launch immediately at step eleven above. The truth is that your website will never be perfect and will constantly need tweaking and changing so there’s no point in trying to get everything just right in order to launch. Just launch and deal with new issues as you go. And to do so get support. You’ll need support to manage the technical side of the site, adhoc webmaster duties and to carry out any creative changes. Get a support service and use it. In doing so you may find that you’ll never have to do a website redesign again because you’ll be doing it on a constant basis. You may say that this whole process is a little intense for a small business website but it really is not because a small business website might not be a small website. Likewise, a small website might not be that big but generates huge profits. Therefore, the size of a website or the size of a business actually has no relevance when it comes to redesigning a website. The end goal is to improve on what you have and the method I’ve described above does just that. It removes any inclination of ego, opinion or guesswork to get the best results for a website redesign regardless of its size. The key is to use logic and data to make design decisions. This results in a website that’s redesigned with improved aesthetics and functionality as oppose to a website that’s redesigned on a gut instinct. 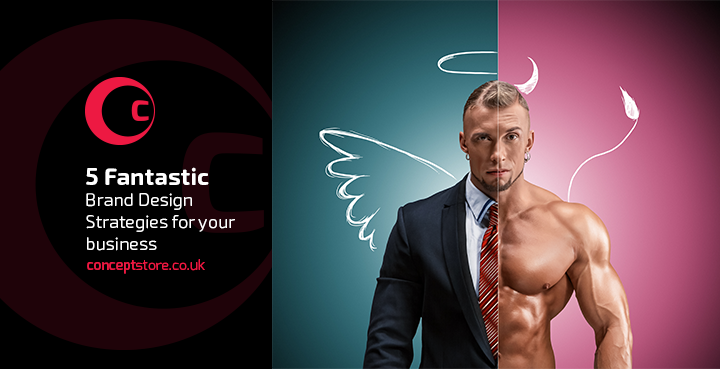 I run a branding and web design studio in the Romford and Hornchurch area of Essex UK and I can say that every website redesign is different, posing different problems which need different solutions. Do you need help redesigning your website?